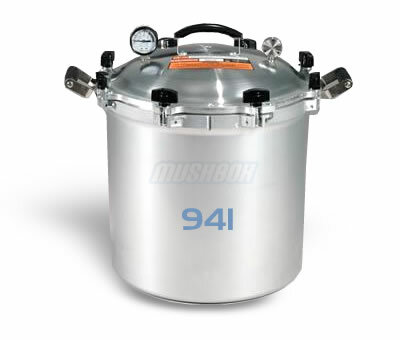 This reliable and efficient pressure cooker has a 41.5 Quart liquid capacity with 2 racks supporting 31 Pint / 20 Quart jar capacity. Made from heavy duty cast aluminum construction it heats evenly and quicker than most metals, cleans easily, wears well and will not rust. 652 points will be rewarded to you when you buy this item.